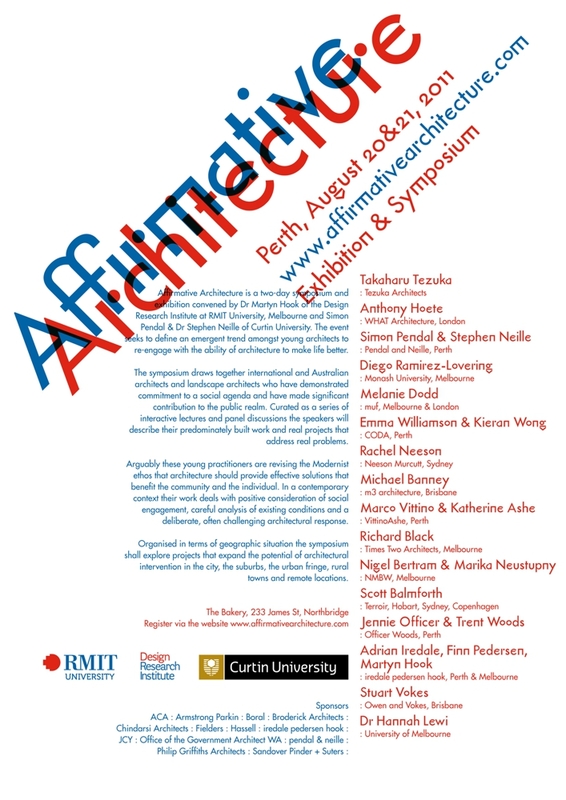 Scott Balmforth will be a speaker at the second Affirmative Architecture Symposium in Perth on August 20 and 21. The Affirmative Architecture Symposium is a two-day event convened by Dr Martyn Hook of the Design Research Institute at RMIT University, Melbourne and Simon Pendal and Dr Stephen Neille of Curtin University. 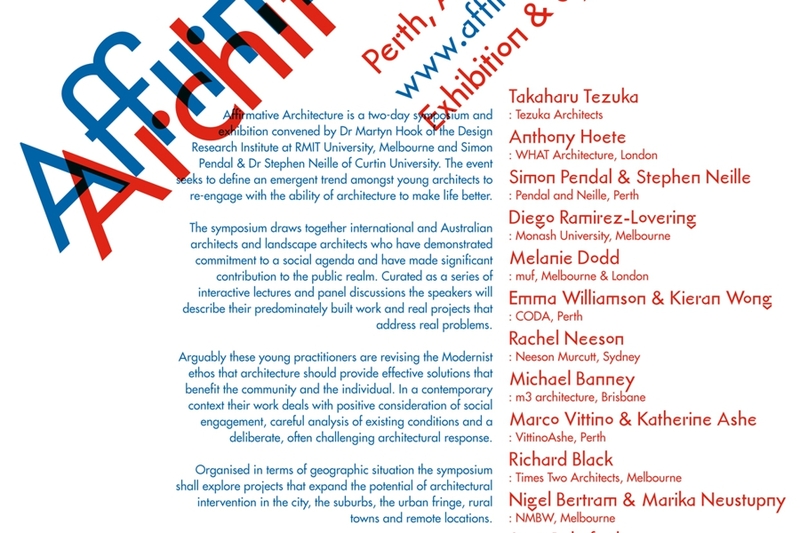 The event follows the first Affirmative Architecture symposium in Melbourne in August 2010 and seeks to define an emergent trend amongst young architects to re-engage with the potential for architecture to improve life.